I really appreciate the work by MyUS. My package was shipped fast and I received it in time. I received my first package today in mint condition. I was skeptical when I was registering with MyUS. Your service was beyond expectation and now I can buy from USA knowing that I have reliable partner within the supply chain. The experience was so seamless and went extremely well. Do I Have to Pay Taxes on My Overseas Shipment to Zimbabwe? Yes, the items you buy from the US will be taxed by the Zimbabwean government. These fees are not included in MyUS shipping costs. They may require you to pay those duties and taxes when your package arrives at your door. We review your purchases for prohibited or broken merchandise. We’ll help you return it before it ships halfway around the world so you avoid unnecessary shipping, tax and duty charges. When Will I Get My Package from the USA? We consolidate multiple parcels into one larger package to reduce total shipping charges. This is a free service to all of our members. Members can schedule shipments and view their pictures of their purchases from their phone once they download the MyUS App. Our expert customs team reviews all packages for compliance with international import regulations. We help members complete any additional paperwork for legal and safe shipment. Become a MyUS member and take advantage of our 20 years of international shipping experience, our award-winning customer service and our low, discounted shipping rates. There are literally thousands of other US-based stores you can shop. And, with our MyUS Shopping extension, you are able to checkout for all of your purchases in one single cart. The above is not a complete list of cities we ship to. There hudnreds of other locations in ZW we serve. We have more than 350,000 satisfied members receiving deliveries in more than 220 countries, islands and territories around the the world including Botswana, Zambia, Mozambique, South Africa, Tanzania, Madagascar, DR Congo and Angola. For the most up-to-date and complete list of items forbidden ship to ZW, please visit their official government website. Certain goods are restricted or considered dangerous (such as metal lithium batteries or cosmetics). These items often require additional actions and permits for safe shipment. We have those permits and we’re happy to adhere to special packaging requirements to meet our members shipping needs. Have a specific item in mind you want to ship from the United States of America? The shipping calculator at the top of this page can give you a delivery quote. With the help from our expert shipping partners (FedEx, UPS, DHL and USPS), we can offer our members very fast or very economical delivery methods. When you're ready to shop and ship to ZW, choose Express Shipping to have your package delivered to your home in 2-4 business days. Or, if you'd like to save even more money, choose an Economy Shipping method and get your goods in 5-8 business days, on average. In most cases, our staff has your merchandise packed in a single box for international shipment in less than 24 hours. And, as a free service to our members, we insure each shipment for $100. MyUS makes shopping and shipping US goods to ZWE easy, fast and affordable. Become a member today and receive all of the MyUS perks and savings. Make MyUS your one-stop international shipping solution. 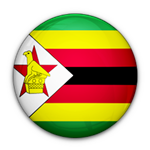 Estimated delivery dates to Zimbabwe are based upon average shipping times from the MyUS facility. We are not responsible for unforeseen circumstances that may delay shipping times such as inclement weather, work stoppages and political unrest among others. Please contact our Customer Relations Departments with any questions about the services offered by MyUS. Your shipments are sent through these couriers: FedEx, UPS, DHL and USPS.